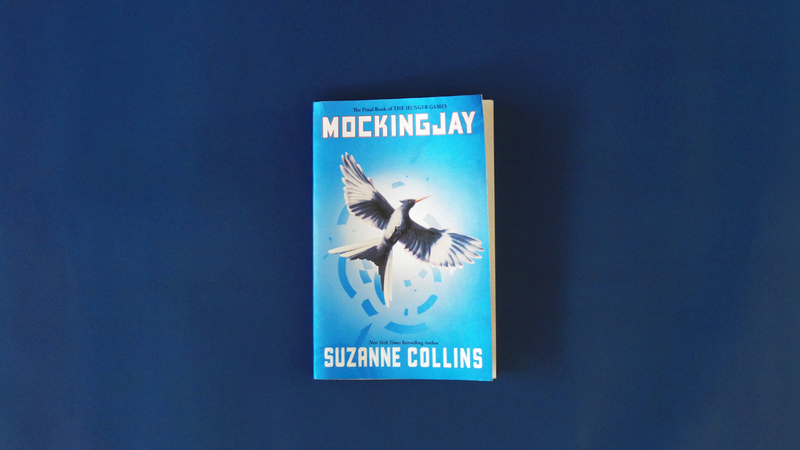 Mockingjay is Suzanne Collins’ finale to The Hunger Games Trilogy, the series that follows Katniss Everdeen, a 17 year old girl who unwittingly starts a revolution when she becomes a tribute the annual Hunger Games, a televised fight-to-the-death competition between 24 children from 12 districts. As expected, Mockingjay is the darkest of the three, but this sweeping finale ends the trilogy not with a bang, but with a gentle kiss to the night. And it was extremely satisfying. In Mockingjay, the repressed districts wage full-on war with the Capitol. But not all districts are united, and Katniss must become the Mockingjay, the symbol of the rebellion, to bring together all 12 districts and take down the central government. But Katniss realizes that she is merely a pawn in the proceedings, and she may not agree with the cause. If The Hunger Games was all about introducing the concept (and the love triangle of Katniss-Peeta-Gale), and Catching Fire was about the spark of the revolution, Mockingjay is the revolt. It has the same violent feel of the previous two books, but this one is more mature and political. But what I admire about this book, and the trilogy in general, is how simply it was written. It’s a heavy read in restrained packaging, making it easier to focus on the story and the action. Having the series seen from Katniss’s perspective also makes the experience more immersive. I watched all the films from the series, and the last installment (Mockingjay Part 1) left me hanging. The last of the film series will come out this November, and I wonder how Francis Lawrence will translate the last few chapters on screen. I also wonder what I’ll do after the last film. Maybe I’ll do what I did after the Harry Potter series ended: wait for the next good franchise.